Thinking about Ireland. Aching for it. I wish that I had the courage to throw everything to the wind and take a chance on trying to move there. Like, NOW. 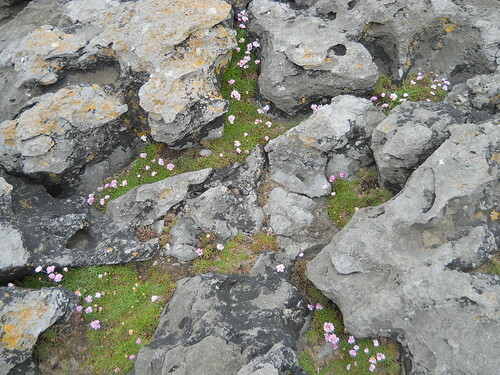 This is a photo that I took on the Burren in May, 2012. 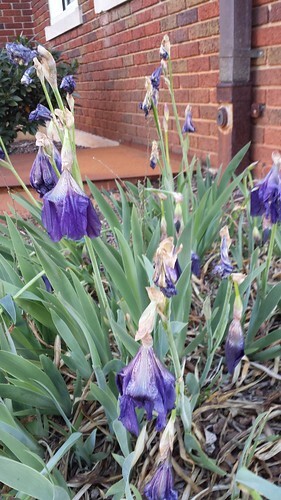 Since I last wrote, spring came and then left. When this weather system came roaring through, I had cluster migraines all day. I always feel concerned for the farmers when we have these false springs. I read “Long Quiet Highway” by Natalie Goldberg this past week. It was time for me to read something about Buddhism. Do you ever wish that you could get back a feeling that you treasured and you don’t understand why you can’t? I don’t understand why I don’t care about certain things that I once cared about. It occurred to me months ago that maybe I should get out one of my many books on Buddhism or mindfulness or simplicity but I didn’t care enough to do it until this past week. I want to care. 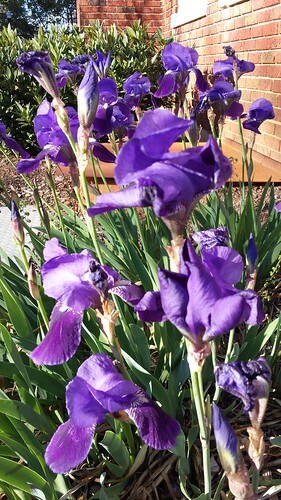 I want to care about cooking and gardening and even watching TV and movies again. I want to feel present again. I guess this is depression. I feel so lazy and blah. Anyway, Natalie’s book is excellent and it stirred something up that needed to surface. Let’s see if I can get moving forward. The book also made me want to go to New Mexico. I think that Sandy and I will go there in September, if we have the money. 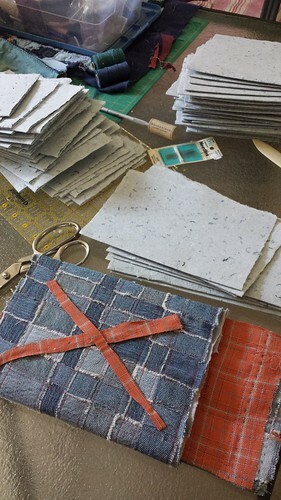 I meant to go see Natalie at her stop at Scuppernong Books in Greensboro on Sunday, but I started making a book and that took me into a time warp and I forgot. It was the first book I have made in many moons. I didn’t have a real plan. 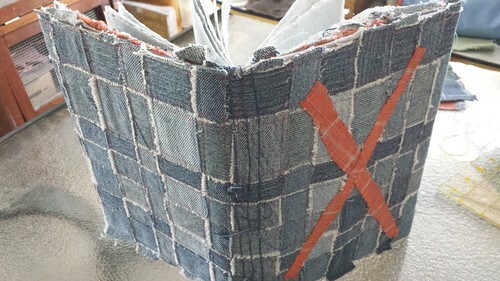 My sewing machine was in the shop and so I got out the denim paper that I made last spring and a piece of the recycled denim woven cloth to make a cover. A couple of scraps of old pajama pants decorate the front. This one is for me to experiment with stitching on paper. 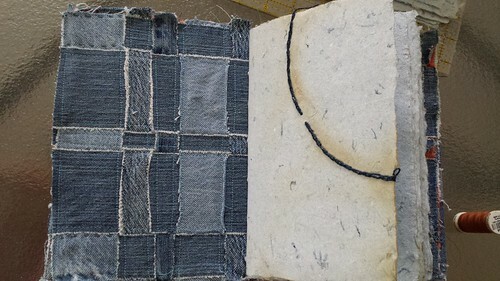 The paper is very soft so if I make another book with it I will need to reinforce the signatures where the pages are folded and stitched to the cover. I just picked up my sewing machine and I look forward to some frustration-free sewing this weekend. i wonder about not caring about things I used to care so much about, too — but just this week, I dusted off MY old books on Buddhism and put them in a more reachable place. I’m not a Buddhist and never will be, but the words help at times like these (maybe at any time).